Our Wednesday Morning Conference is a CME accredited program through MCW and is held by the Department of Obstetrics and Gynecology. 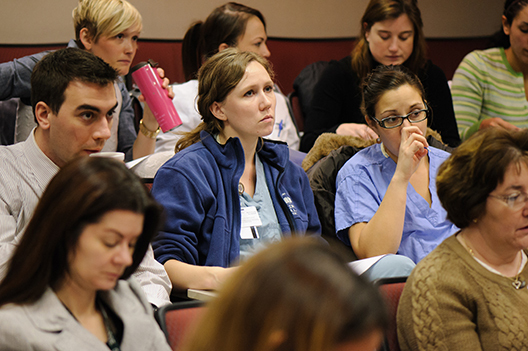 This educational activity is designed to address deficits in both faculty and resident education in obstetrics and gynecology. Speakers with an identified expertise in the identified deficit topics are invited to present at one of three sites on a Wednesday morning from 7:30 AM to 10:00 AM. The formats of the learning activities include lectures, case-based discussions, interactive sessions using audience response systems, small group and problem based learning modules and hands-on training workshops. The learners are medical students, obstetrics and gynecology residents, fellow and attending staff and community physicians.